Another great session with Earl Lynch yesterday. This time it was with my Accountant Mastermind Group 2. 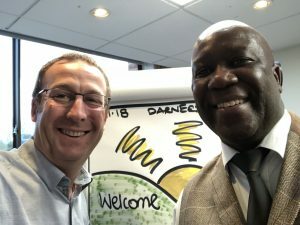 Earl shared loads of nuggets around cross selling and up-serving but the one that really struck a cord with the group was his analogy around a Penny Farthing. You’ll need to see Earl speak to find out more. As usual, I reported on the groups’ performance on the actions they set at the last meeting. I’m delighted to share they hit 100%! Accountability when making improvements and stepping out of your comfort zone is key. Who or what do you have in place to hold you accountable? There is one more chance this year to Test Drive Darners and that is at the December event. If you’d like to come along as my guest just drop me a private message.